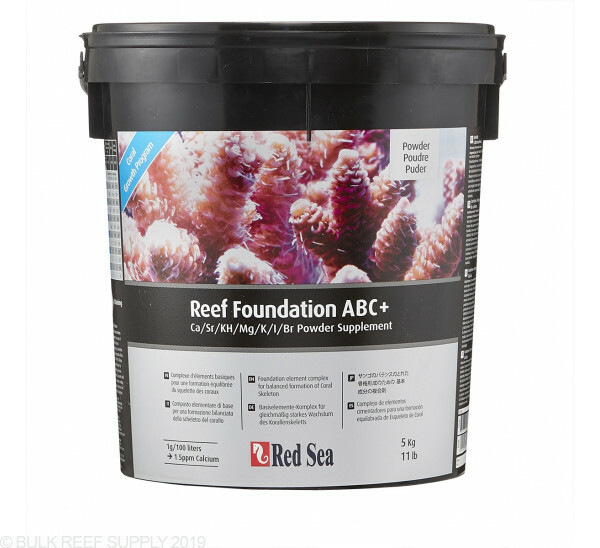 Boost levels of calcium, alkalinity and magnesium with Reef Foundations ABC+. Use as part of the Red Sea Reef Care Program to build strong coral skeletons. Contains Calcium, Strontium,Barium, Bicarbonates, Magnesium, Potassium, Boron, Iodine & Bromine formulated in the exact ratio as found in the coral skeleton. BRS had the 5kg bucket on sale last fall. Figured I'll give it a shot. I'm holding 80 gallons of water total after displacement. I've been using it for about 4 months now and couldn't be happier. It also has RS color A&B in the powder. My reds started to get better after 2 weeks and were on fire after a month. So after the first of the year I started dosing colors C & D with the ABC+. Now my greens and blues are just mind blowing. I've tried about ever dosing product and method out there and this has been the easiest with the best results I've even seen. My Apex DOS pumps have been collecting dust for months. I do have to dose up my alk and mag separately from time to time but no big deal for these results. The only down side is that I should have bought 4 buckets instead of 1 when BRS had it on sale last fall. This is probably the most misunderstood supplement in the entire Reef Care Program. It's intended for small (< 75 gallons) systems, where it's dosed directly (as a powder!) 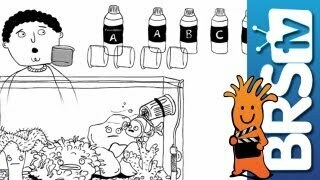 into the highest-flow area of your aquarium (to make sure that the powder dissolves completely before making contact with livestock). As expected, it delivers the proper ratio of Foundation components A, B, and C, plus the equivalent of solutions A and B from the Coral Colors system. Monthly or so, you'll still need to tweak Ca/KH/Mg levels with the respective liquid supplements based on test results, but ABC+ is a quick solution for everyday dosing. Note that ABC+ CANNOT be pre-dissolved in saltwater or RO/DI, so it CANNOT be delivered via drip, ATO, or dosing pump! For the right tank, this is an inexpensive, effective, and easy-to-use supplement. Owners of large and/or highly automated tanks need to look at the other Red Sea supplements. 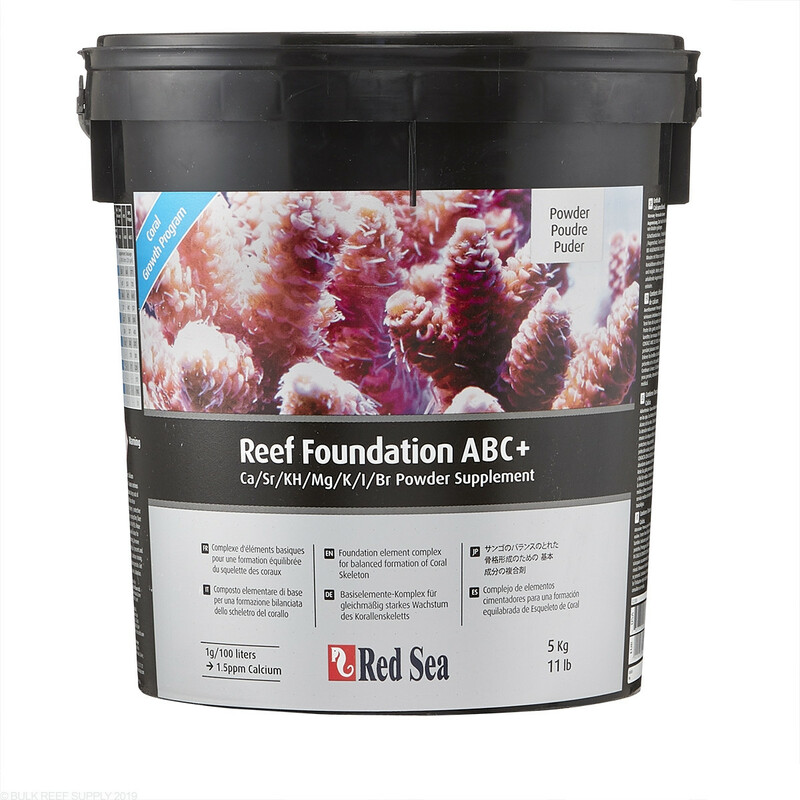 I know the Red Sea guys are top notch and I have come to love their test kits, but Reef foundation ABC+ was not for me. I am somewhat new to reefing and run a IM Nano 8 and Mini 38. I was trying to cover all the bases with ABC+ thinking it would be easier. But I have since then come to the conclusion that I am better off dosing individual elements based off my tests rather than hitting my tank with all three at once. I am sure this works for some reefers but it didn't work for me. For me personally, I have found success using individual buffer, calcium, and magnesium supplements. I will be going with the BRS stuff next time mainly due to the support I know I will get from BRS.